Easy to customize. No coding and Free! Over 1 Million Free images available. Create a unique Joomla! template within minutes. All in real time. Start your free! You are not limited to design or functionality offered like in other Joomla! templates. 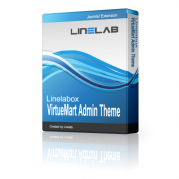 You are totally in control of any aspect of your template via Linelabox Template builder. Build in real-time with Linelabox. Take your site to the next level by adding our popular Joomla! extensions. Extend your website with extra features. We don't place any restrictions on use, nor do we limit the number of domains that you can install Joomla! extensions. Linelabox Template builder is the perfect solution for everyone. Join now and enjoy the advantages offered by our template builder. Get help and find answers in our support system. 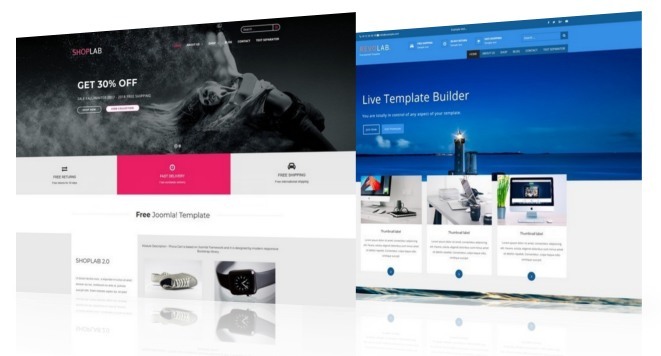 Our Template builder sets the new standard with endless possibilities. Powerful options, responsive framework and unlimited designs. Create anything you want with Linelabox. Build responsive, mobile-first Joomla! templates with the world's most popular front-end component library. Create responsive Joomla! template within minutes. Linelabox includes fully featured mobile editor. You can easily change the color of every element in the template in just a few clicks. You can use Google fonts and the standard fonts, set sizes, style, weight and many more. All of Google fonts are free. Bootstrap allows you to create up to 12 columns and unlimited rows. Choose between wide and boxed layout. You can perform unlimited undo and redo of your actions. You can undo all actions by pressing the Undo button. Create easily anything you want with the custom CSS / HTML editor. Real-time code editing. With Linelabox template builder you can add images from Pixabay in to your template in real-time. 1,000,000+ Free images. You can create awesome Joomla! templates with the smooth parallax background effect that everyone loves. You can create your own code snippet or module layout and save it inside your library. Linelabox support the latest HTML5 / CSS3 standard. The Linelabox editor gives you an exact preview of your Joomla! template, that you can edit in real-time. Drag & Drop interface. We support popular extensions, including AcyMailing, K2, VirtueMart and Phoca Cart.